Fifth-generation farmer Ramsey McPhillips and a motley crew of neighbors wage a quixotic battle to stop North America’s largest garbage company from growing even bigger in the heart of Oregon's wine country. In the heart of Oregon’s picturesque farm and wine country, an 18-story mountain of trash rises next to the Yamhill River. For two decades, Fifth-generation farmer Ramsey McPhillips and a motley crew of neighbors have waged a quixotic battle to stop north america’s largest garbage company from growing even bigger. FOUR MILES past McMinnville on Highway 18, a couple of ramshackle barns and two rusting silos stand amid wheat and grass that glows golden-green in a setting spring sun. In one of the smaller buildings, Ramsey McPhillips feeds his five bearded Toggenburg goats before locking them up for the night. “Hello everyone, who’s hungry?” he asks, swinging the stall door open. Bernadette, one of the three babies (alongside Bernardo and Bridgett—next year all the names will begin with “C”), bounds into his arms. Locking the stall door, McPhillips steps out. To the east, Mount Hood shimmers above the trees. To the west, Coast Range foothills roll gently beneath a cape of vineyards. And to the southwest rises a mountain of garbage that sprawls over 85 acres and towers 135 feet tall. McPhillips wears his customary flannel, corduroy jacket, and the battered felt Pendleton hat he’s rarely without. (Even in a suit, he has the hat.) 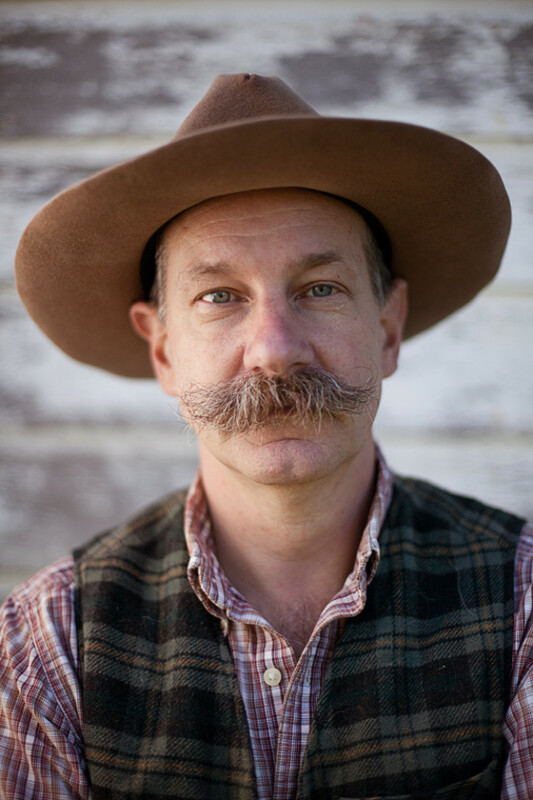 His wild, untrimmed mustache looks like a marmot clinging to the bottom of his nose. He’s the fifth generation of the McPhillips family to operate the farm, which turned 150 this year; nevertheless, his life has been far from pastoral. McPhillips, now 54, has wandered widely, working as everything from a Central Park ranger on a horse named Devo to a combination horticulturist/therapist for the COO of the World Bank. Looming above a nearby stand of Oregon white ash trees that separates his farm from the dump, the Riverbend Landfill is also closing up for the night—the machinery shutting down and the birds, racoons, and coyotes arriving for what McPhillips and neighbors call “the moonlight buffet.” Started as a small mom-and-pop dump in 1982, it has grown into one of the largest man-made structures in the state, owned by North America’s biggest garbage company, Waste Management Inc.
Municipal solid-waste landfills pose a general conundrum in a state that prides itself on its environmental standards and farmland preservation practices. Among other things, dumps are Oregon’s number one source of climate-warming methane emissions. But Riverbend is particularly troublesome, starting with the location: a bend in the Yamhill River that’s in hazardous proximity to the entire region’s water supply. Within three miles—and easy sight and smell—sit 500 family farms that grow everything from apples to wheat to hazelnuts. Within four miles, there are half a dozen vineyards and award-winning wineries, including the area’s oldest, Eyrie Vineyards, and the state’s largest biodynamic vineyard, Momtazi. Nobody has watched the landfill grow—and fought it—for longer than McPhillips. 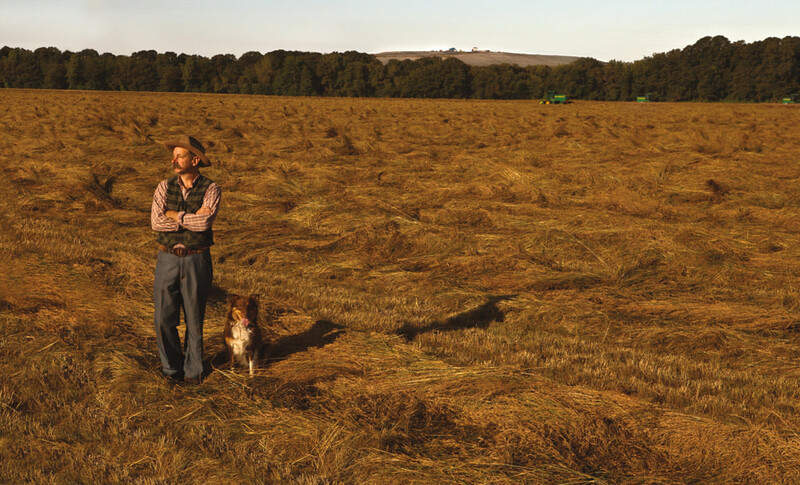 His great-great-grandfather homesteaded the farm in 1862. His grandfather was the first head of Oregon’s Environmental Quality Commission. Having long dreamed of transforming the farm into a horticultural school, McPhillips originally planned to simply wait out the endless caravans of garbage trucks: the landfill was originally scheduled to close in 2014. But in 2008, Waste Management announced a plan to double Riverbend’s size and extend its life by 30 years. So he decided to fight. What has unfolded since is one of the Willamette Valley’s strangest, longest, and most expensive political battles. McPhillips may have started out as an eccentric Don Quixote NIMBY farmer tilting at landfills, but his efforts have brought together a rare coalition of farmers, environmentalists, land use advocates, and vineyard owners who have fought the landfill’s expansion at the ballot box, in the Yamhill County Commission, and all the way through the Oregon land use system. Yet even as the fertile land surrounding the dump has come to epitomize the national farm-to-table movement and become the toast of international oenophiles, Waste Management has unrelentingly pushed to expand. Now the battle has entered a new stage. One of the landfill’s early engineers has joined McPhillips’ coalition with allegations and evidence that Riverbend Landfill has violated its permits and is possibly leaking toxins into the water table. 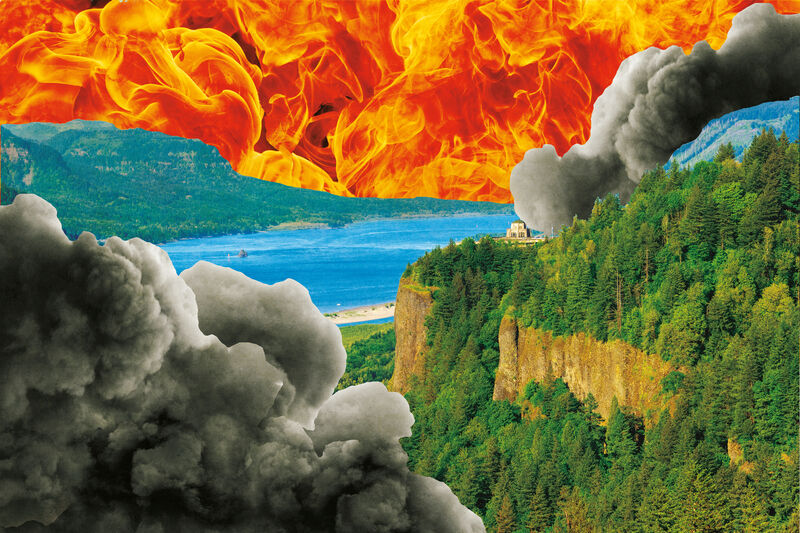 Other engineers and scientists believe that an earthquake—even a 7.0 on the Richter scale, a quake much weaker than the 9.0 often forecast for Oregon—could turn Riverbend into an environmental catastrophe. Meanwhile, the $13.4 billion Fortune 500 trash corporation has brought in one of its top troubleshooters to soothe the opposition and unveil a smaller, ostensibly more environmentally friendly expansion—but an expansion nonetheless. In 1854, Bernard McPhillips drove a herd of cattle from California to Oregon, eventually becoming a leading farmer in McMinnville. His son started the US Bank of McMinnville and cofounded First Federal Savings and Loan. 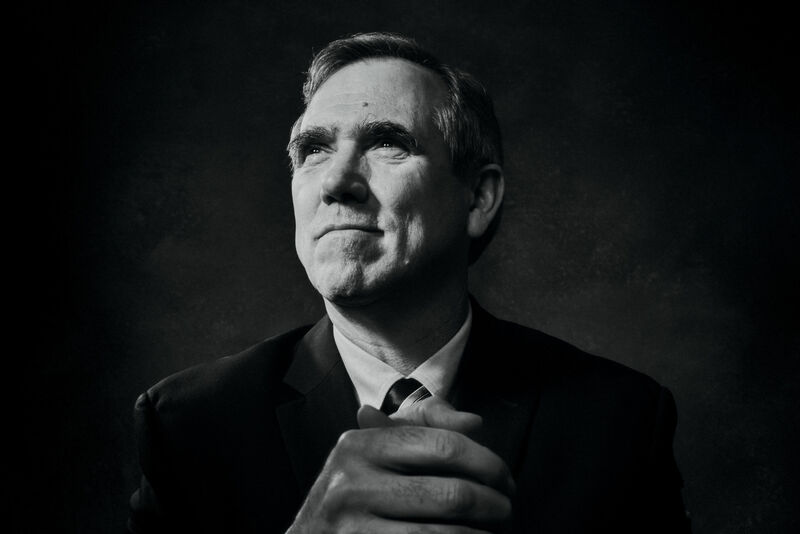 His grandson, Ramsey’s grandfather, pioneered Oregon’s model environmental system, serving under nine governors as a member of the State Sanitary Authority and then as the first chairman of the Environmental Quality Commission. Among many gifts to the city and state, the family donated its beachfront property—a little stretch now known as Cape Kiwanda State Park. When his grandfather died in 1991, he returned with the intention of starting a horticultural school. 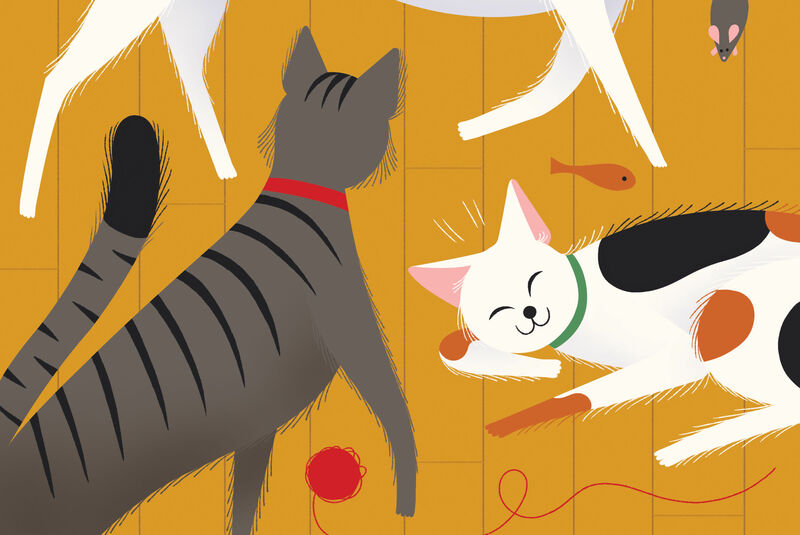 Instead, he discovered that the small-town dump next door, run by his grandfather’s friends, had been bought by a national company and was growing into a regional landfill that accepted garbage from the Portland area and coastal towns. The change at Riverbend and other small garbage dumps grew out of a new federal regulation adopted in 1991 known as Subtitle D, which strongly tightened environmental standards and pushed many small landfills to become regional operations in order to afford required upgrades. A year later, McPhillips’s neighbor, Lillian Frease, spearheaded an anti-landfill ballot initiative to prohibit landfills within 500 feet of a floodway and limit the importation of trash from beyond Yamhill County. It won by a 2-to-1 margin. But the landfill’s owner, Sanifill, and Yamhill County successfully appealed to the courts that the ballot measure violated interstate commerce laws. McPhillips went back on the road, deferring his future school until the landfill’s slated close in 2014. Waste Management Inc, a publicly traded, Houston-based corporation, acquired Riverbend in 1998, and in 2008 applied to double its footprint from 85 acres to 172 and increase the height of its hill of trash from 140 to well over 250 feet—about the 18-story height of the iconically remodeled Edith Green-Wendell Wyatt Federal Building in downtown Portland. McPhillips and Frease quickly drafted a new initiative (written by incoming Portland city commissioner Steve Novick) to prevent the expansion of Riverbend and, this time, to ban any new landfills within 2,000 feet of a floodplain. “We eliminated the commerce laws and went back to what won, assuming it would win again,” he recalls. But Waste Management wasn’t Sanifill, and McPhillips and Frease were hardly prepared for the titan they’d just awoken with a spitball. 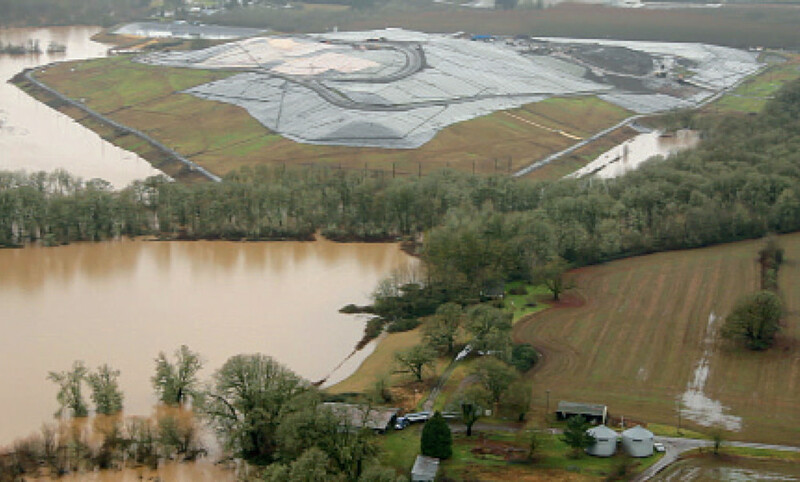 During moderate flooding this year, the South Yamhill River covered much of McPhillips’s farm (foreground) and lapped against the landfill and its leachate evaporation pond (background). 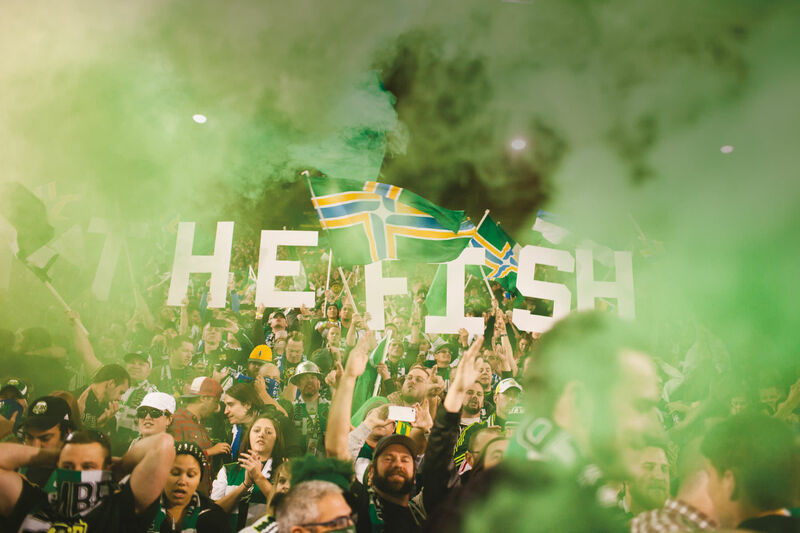 In the picturesque postcards and social-media snapshots from the Willamette Valley’s wine country, the Riverbend Landfill rarely makes an appearance. Yet it rises like a fortress next to the coastal thoroughfare of Highway 18, and the mountainous, plastic-covered heap glows brightly in the morning sun. For vintner Moe Momtazi, the landfill has become an equally looming problem on his ledger sheet. Momtazi Vineyards sprawls across seven foothills just north of Highway 18. On a late spring day, a battalion of wild turkeys parades between the vines. Momtazi, his thinning black hair graying at the temples, pushes a handful of dried stinging nettles, cut from down the hill, into a large tub of simmering water. He’ll inject the resulting tea into the irrigation system for its medicinal and nutritional properties, part of the holistic biodynamic farming practice. When Waste Management applied to expand the landfill in 2008, the impact on Momtazi’s business was immediate. His biggest fruit customer, Scott Paul Wines, whose contract was worth over $150,000, dumped him explicitly because of Riverbend’s proximity. Other departing customers implied that it was their reason, too. 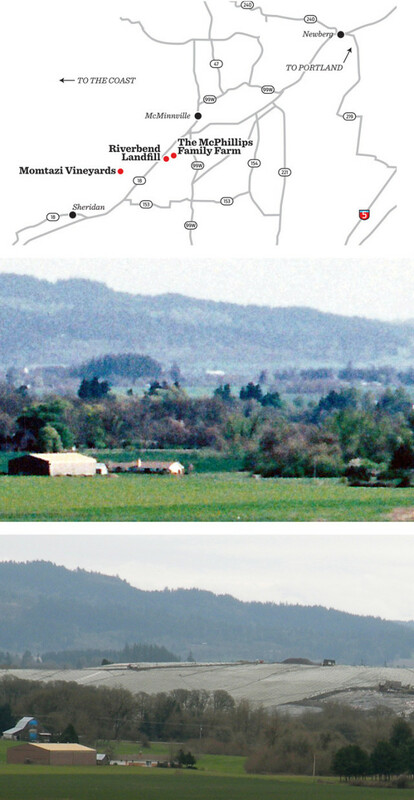 Even though Yamhill County voters spurned the proposed ban on Waste Management’s expansion, McPhillips and Frease’s nascent group attracted support for stopping the dump’s growth that transcended the valley’s normally rigid lines between farmers, vineyard owners, and environmentalists. They renamed their group Waste Not of Yamhill County, and easily rallied Willamette Riverkeeper, the Yamhill County Soil and Water Conservation District, and the Yamhill County Farm Bureau to their coalition. The neighbors appealed to the state’s powerful land use board, and won. Waste Management then filed a court appeal of its own, and lost. Game over? Waste Management pressed on, applying for an interim fix: build an earthen berm out of rock and wires around the landfill’s perimeter so that its edges can rise high as the middle—allowing an additional 2.9 million cubic yards of capacity, or some six more years’ worth of garbage—while it worked with the county on a new expansion plan. 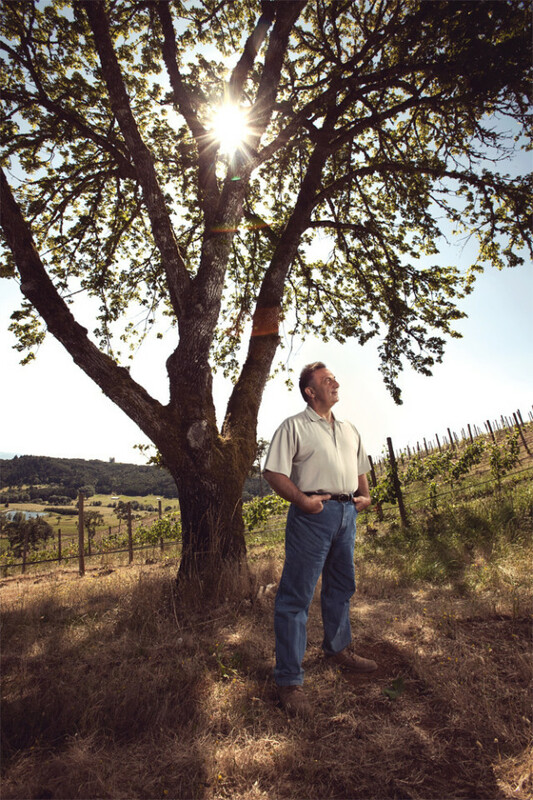 Along with his wife and three daughters, Moe Momtazi runs Maysara Winery and Momtazi Vineyards, Oregon’s largest biodynamic vineyard. Then the tenor of the afternoon changes as a new Waste Not ally, Leonard Rydell, steps before the committee with his arms full of rolled maps and stapled documents. “I’ve got about 40 years of engineering experience, and I used to be the engineer of record at Riverbend,” he says as he spreads out the original plans for the landfill and the dyke shielding it from the floodway. Rydell quit in 1985, he says, because the landfill’s original owners consistently refused to follow his plans or the environmental specifications to prevent leakage. Rydell stayed silent for the next 27 years out of respect for client confidentiality, he says. He’s also a self-avowed small-government Republican who’s never been keen on landfill opponents or the restrictive Oregon land use system. But in November of last year, when Waste Management proposed its stopgap earthen berm, Rydell had to speak up. So he spent the next three weeks poring over his original documents and comparing them to the current maps. A licensed pilot, he flew over the landfill and took photos to compare its current activities to its permitted ones. Things were amiss: Waste Management, he believes, has been building over property and zoning lines, digging dirt out of the river’s floodway to cover the garbage each night without proper permitting, and failing to comply with numerous other permitting conditions. “What’s out there now was never anticipated,” Rydell tells the committee, his voice growing more excited as he delivers his final blow: spreadsheets from DEQ (finally acquired by McPhillips after four years of requests) showing that monitoring wells around the landfill reveal toxic compounds. In short: the landfill is leaking. In response, Jennifer Redmond-Noble, an advisory committee member representing the landfill’s neighbors, insists they need to hear from a neutral party, like the Army Corps of Engineers. “The real story is the county is doing nothing,” she says sternly, shortly before the meeting adjourns with no plans for further action. Yamhill County’s planning department and representatives of Waste Management flatly state that the landfill is in accord with all permits and environmental regulations. “Rydell and the landfill’s opponents are taking snapshots of information at moments in time, and they’re not looking at everything,” says Brandt, in the planning office. 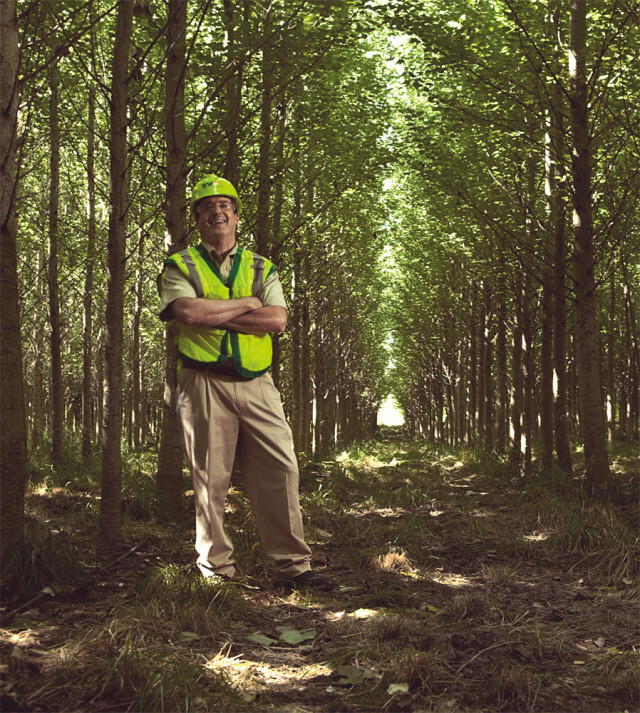 Paul Burns, Waste Managment’s Pacific Northwest director of disposal operations, stands in the landfill’s grove of poplars. One summer day, Burns offers a tour of the grove of poplars that partly screens Riverbend Landfill from Highway 18. Standing between rows of trees as straight as church columns, Burns explains that the thin black tubes running through the undergrowth irrigate the roots with diluted leachate—the potentially toxic stew created from rain and other liquids that seep through the landfill’s decomposing matter and pool at the bottom—the stuff opponents fear is leaking. But in the grove, which won an award from the American Academy of Environmental Engineers, the tree roots absorb the leachate before it enters the water table. The company then periodically harvests the trees to sell for pulp. Burns points to this green-design element as evidence of fundamental goodwill. For his part, Burns sees the future of trash in more technology and recycling. In North Portland, he notes, Waste Management is building the first commercial-scale plant devoted to a new process: turning hard-to-recycle and contaminated plastics into synthetic fuels. He points to a site he worked on in Rochester, New Hampshire, as his example for Riverbend: substantial community involvement that produced a landfill replete with parks, wetlands, and even a golf course, plus a gas-to-energy plant. McPhillips has taken down his “farting landfill” sign. He’s moved into the 1860s caretaker’s house right next to the dump, renting out the family farmhouse to pay legal bills arising from his fight. And he vows to keep fighting.